Hey friend, looks like it’s been a rough day. We’re glad you’re here. In this space, you’ll find a growing list of resources and links to community. 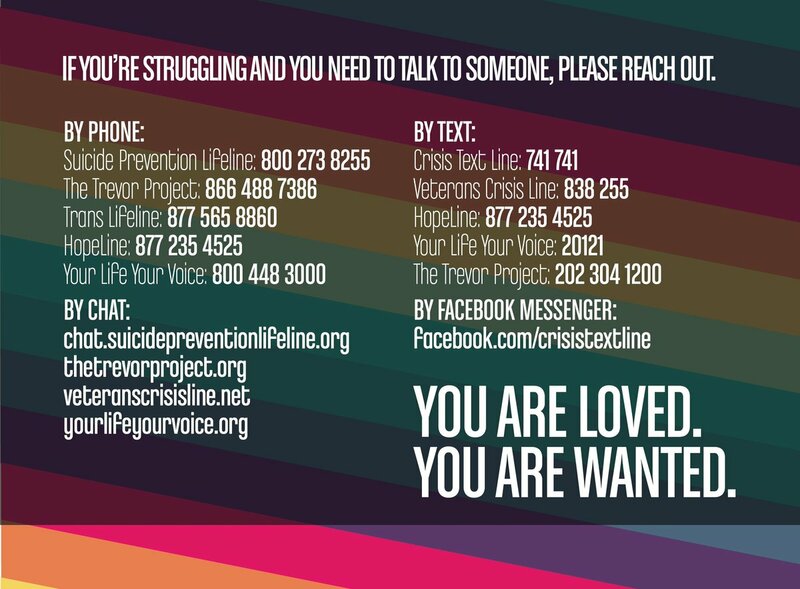 Right now, we are placing digital billboards and targeted social media ads in the Utah area targeting fragile communities who might appreciate uplifting messages connected to resources for mental health, food, housing, and finding affirming community. Look for our billboards in Utah County along I-15. If you get a photo of it and want to share it on social media, hashtag your posts with #unicornoutreach so we can share the goodness. If you’d like to get in touch with someone, please fill out the form below.